Spring training baseball is traditionally not about the final score. Veterans are ramping up for the season, plenty of players who won’t be on the big league club are still scattered throughout rosters, and generally the major leaguers are out of the game after two or three plate appearances. #Cardinals are three outs away from a game that dare not speak its name. Bothers them enough that Goldschmidt and Fowler are going out to play the field in the bottom of the eighth so that they both get an at-bat in the top of the ninth to fend off the rare spring no-no. On the other hand, they did kind of reinforce the idea that they’re an organization committed to not having fun. 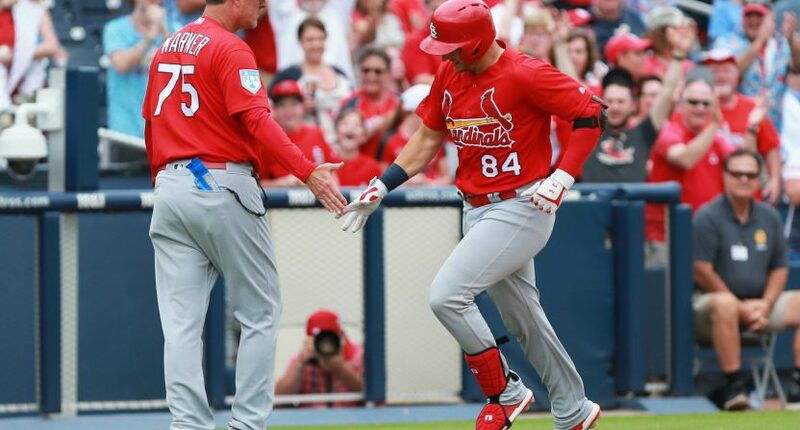 Fortunately for the rest of us, the Cardinals forced to play Dexter Fowler and Paul Goldschmidt for longer than they would have liked just to avoid a fate only the Cardinals would have really cared about is pretty funny in itself.